Kathryn and Bill Brannan with a new friend in Uruguay! My husband Bill’s and my time in Uruguay was such a joyful and faith-stretching time. 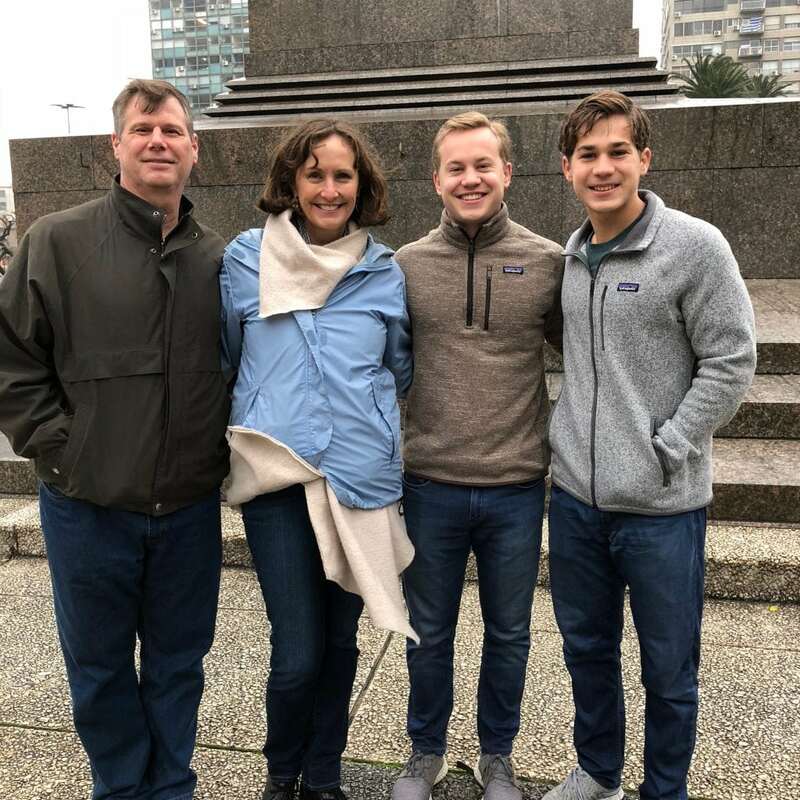 We had never participated in an international short-term missions trip, and we thank God for the experiences He had planned for us in Montevideo. We were apprehensive about whether our planning for the English Club would be sufficient and effective, and we learned to trust God to help us adapt our resources and our gifts to suit the people the Lord brought to the club. What a Godly, friendly, talented, committed team of missionaries we found in Montevideo! The Calls, the Richlines, and the Jeromins are truly called by the Lord to their work. 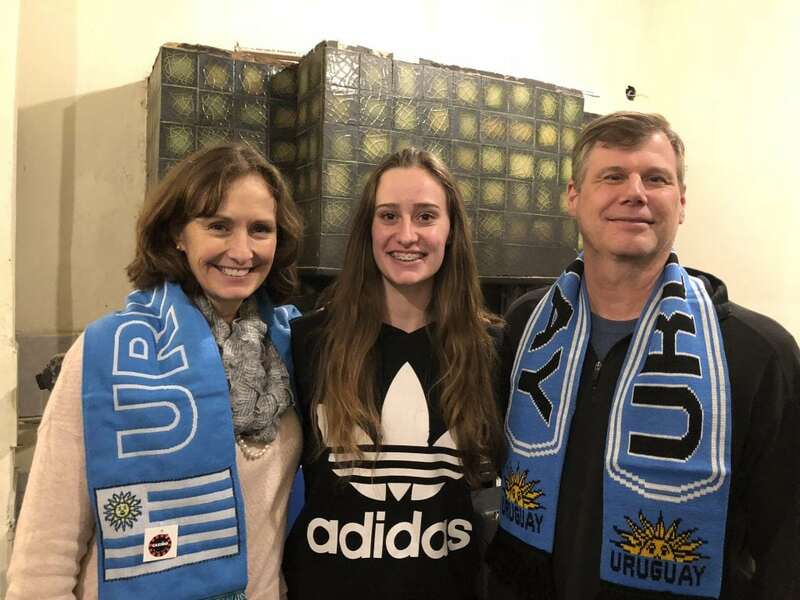 They and their children truly love the Uruguayan people, and they have made such sacrifices to be serving there. It was a joy for us to develop friendships with the missionaries and their children; “live” the missionary life for a week; immerse ourselves in a different culture, diet and language; pour ourselves out in meeting new people and teaching them, despite language differences; worship our great Lord in another language; pray for gospel fruit among the people we were serving; and learn to love our new friends in Uruguay. All of the short-term missionaries taught children in the afternoon, and we had such fun talking about our families, numbers and colors and rooms in houses, and playing UNO and other card games. 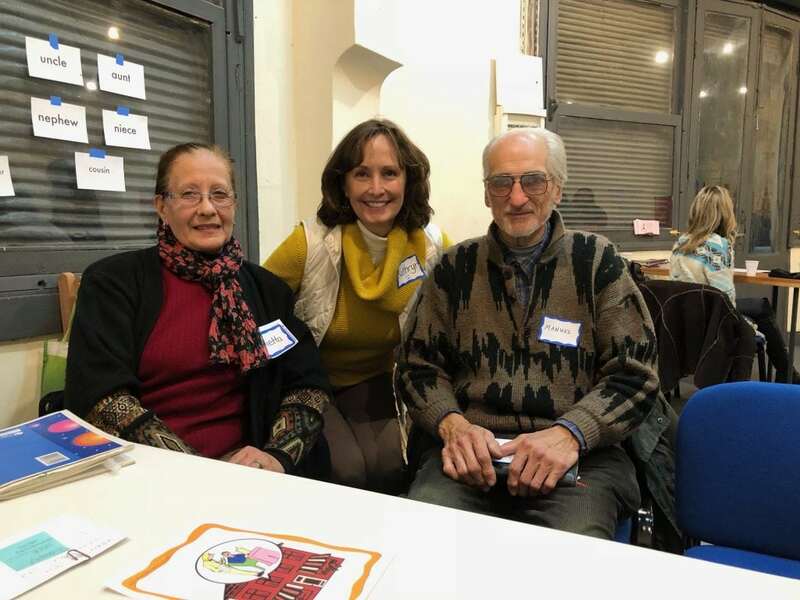 In the evenings, Bill taught adults, and he was grateful for the opportunity to engage in varied English conversation with intermediate and advanced students who were so enthusiastic about practicing their English conversation skills. I taught beginner adults in the evenings, and it was so much fun to apply my teaching skills in learning to communicate with these dear people. We discussed our families, colors and numbers, our jobs, places in the community, our emotions, our homes. It was so encouraging to see how God brought this varied group of people together, and we pray that those who don’t know the Lord Jesus Christ will remember the words of gospel invitation spoken each night during the English Club. And we pray that those who took one of the Christian books we made available will read those books and come back to the regular Wednesday night English conversation club that the Iglesia Presbiteriana Evangélica de Montevideo offers. Serving in this way was a great blessing to us, as our hearts have expanded to love and pray for the people in another part of the world, where Christ is faithfully building His church.